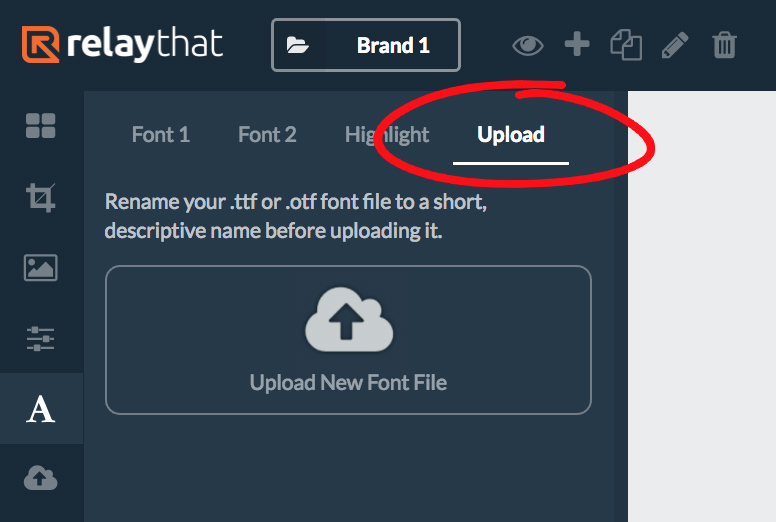 It's easy to upload your own fonts into RelayThat. Just navigate to fonts menu and click the "Upload" tab. Next, click the "Upload New Font File" box to add your new font. NOTE: It's always best to rename your .ttf or .otf font file to a short descriptive name before uploading it so that you can find it easily in the font menu later.